UPDATE 3/5/18: The good news is that 97% of UK restaurants are restocked with chicken. The bad? KFC ran into another shortage, this time of gravy. 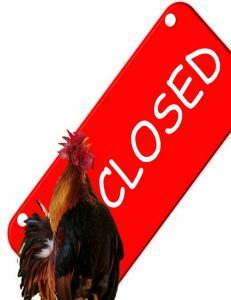 In the UK, about 800 of the 900 KFC locations were closed on Monday, February 19th, 2018 due to a shortage of chicken. How could KFC be out of chicken? Supply chain operations are normally taken for granted, until something fails. And fail they did. A combination of events led to the chicken shortage. At the front of the line is KFC’s switch of their logistics partner from Bidvest to DHL. 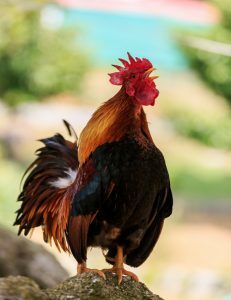 Delivering fresh chicken to over 900 restaurants is not an easy task, as DHL found out. KFC’s former logistics, Bidvest, is a food distributor. DHL, known for success and innovation in the logistics field, is learning how to be a food distributor. Add in that Bidvest had a network of six distribution centers to DHL’s one new center. A combinations of traffic accidents around the one center, new employees at the new center, a facility that wasn’t registered for food, IT failures, and other problems led to KFC’s chicken shortage. A shortage of IV bag has limited the ability of hospitals nationwide to deliver IV-administered drugs to patients. The IV bag shortage results from a disruption of IV bag production at Puerto Rican plants, after the hurricane cut the power supply. The shortage has hospitals scrambling to find alternatives and workarounds to handle an influx of patients during the flu season. This post is based on the USA Today article, Hospitals find other ways to deliver medicine amid IV bag shortage, by Anne Saker and Shari Rudavsky, January 14, 2018. 1. 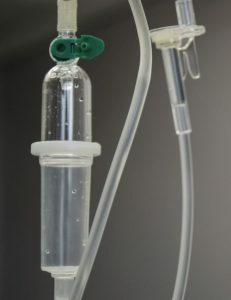 How does the IV bag shortage affect health services? 2. What are healthcare providers’ responses to the IV bag shortage issue? Guidance: They’re finding secondary suppliers where possible, rescheduling patients, and finding ways to permanently reduce the use of IV bags. 3. In what ways can the IV bag shortage issue be better understood from a supply chain management perspective?